The inquiry that began with her father’s language went on to become the Final Words Project, in which she collected and analyzed hundreds of final words for their linguistic patterns and themes. 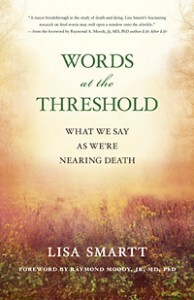 In her new book Words at the Threshold: What We Say as We’re Nearing, Smartt decodes the symbolism of those last words, showing how the language of the dying points the way to a transcendent world beyond our own. We hope you’ll enjoy this short excerpt from the book. If you are facing the death of a beloved right now, I invite you to write down the words you hear — even those that seem to make no sense — without editing, fearing, or judging them. As you transcribe the words, and as you read through these chapters, you may discover that the very changes you hear in your beloved’s language, which may seem scary and confusing, may ultimately bring you comfort and meaning. Jewels often emerge as we listen closely and write down final words, and the transcription process can help us feel more connected to our loved ones and even closer to Source. Many times the dying say things that don’t make sense at the moment. But months or years later, you will find hints of prophecy or answers to questions in those words. Here are some suggestions for you to use as you courageously and compassionately witness final words. Enter the world of your beloved. Imagine you are visiting a new country. Keep an open heart and mind. Record in a final words journal what you hear, see, and feel; it will be your private travelogue about that other place. You may be surprised later by the pearls of wisdom you find there. Have eyes for the sacred. If possible, imagine that the territory you have entered is sacred ground, despite the terrible loss looming before you. Be open to the possibility that something transpersonal is occurring, and that the words you hear are tracking its course. Assume your loved one can hear you even when unresponsive or quiet; let the dying person know how deep your love goes. As we die, our sense of hearing is the last sense to go. When you are in another room, and especially when you are speaking about your beloved, speak with lots of praise and gratitude. Speak words that will bring joy or comfort to the person. Savor silence. Sometimes it is better to just sit with your loved one. When words don’t build bridges, know that the dying may be much more attuned to telepathic or other nonverbal communication, much like the kind of communication we experience when we pray. Speak to the person you love as you would in prayer. Your listening to and honoring final words will make the dying process easier for your beloved. At the same time, transcribing the words can be healing for you as you move through the loss of someone you love. Make a journal out of the words you’re writing down. Remember that the words that don’t make sense are as important as the ones that do. Notice metaphors or symbols that are repeated, and paradoxical phrases. Are there certain colors or shapes that are repeated? Are there references to people or places you do not see? Meanings may not be clear at first, but when you write down the words you have heard, you may find comforting or healing associations. What might seem senseless to a stranger may hold deep personal meaning to you. Final words can be like dreams. We learn so much by reflecting upon these words and free-associating with them. In your final-words journal, write down the words you hear, and allow yourself to free-associate. Imagine the words are those of an oracle, or the wisdom of dreams, and let them evoke images and reflections in you. You may be surprised and moved by what emerges. My mother and I created raku-fired plaques of my father’s final words in honor of his memory. Art is a powerful healing tool. Many times, the best way to process grief is without language. Taking final words and building art with them and through them brings us to a greater understanding of their meaning and of those we love. Integrating final words with art is one way to keep the portal open between the living and the dying, and a way to honor those who left before us. If you are not currently facing the loss of someone you love, it is my hope that this book will offer you the tools for when you do. Perhaps it will also answer your questions about an afterlife and deepen your appreciation of the connection between language and consciousness. As much as the death of a beloved is grief-filled, it is often also a sacred time. The language at the end of life offers a pathway to a better understanding of the spiritual quality of dying and living — and can help us develop deeper connections with our beloveds. 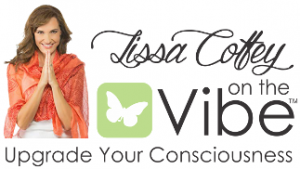 With each word we transcribe, we are invited into the consciousness of those we care about as they transition. The continuum of language in the communications of the dying includes an increase in symbolic and metaphoric language, repetition, sustained narratives, various kinds of paradoxical and situational “nonsense,” and a variety of other linguistic patterns that shed light on the path of consciousness that we traverse as we die. By analyzing the language of those who have had near-death experiences, we can learn from these accounts about words at the threshold. 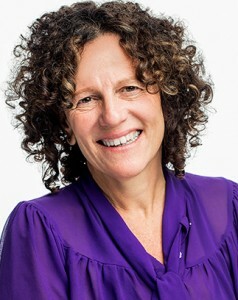 Lisa Smartt, MA, is a linguist, educator, poet and author of Words at the Threshold. She founded the Final Words Project, an ongoing study devoted to collecting and interpreting the mysterious language at the end of lives. She lives in Athens, Georgia. Visit her online at www.FinalWordsProject.org.